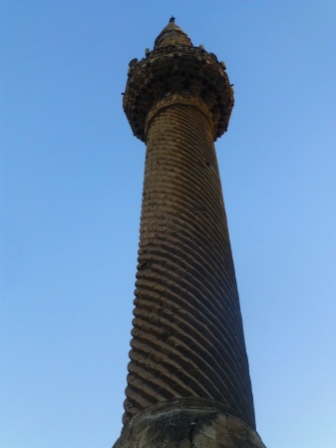 After Antakya, I headed over to Gaziantep, about 125km to the north-east. 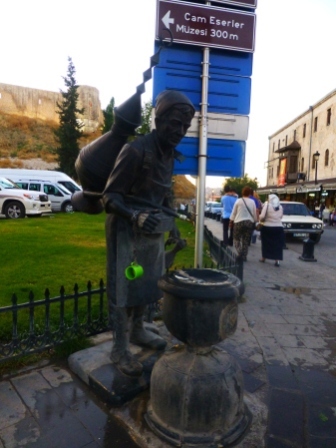 Gaziantep used to be, and often still is, called Antep. 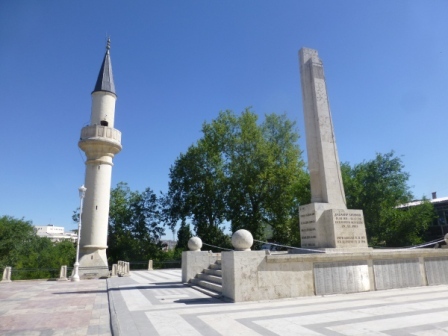 The ‘Gazi’ prefix means (roughly) ‘veteran’ and was awarded to the city by the Turkish government in 1921 in recognition of the city’s resistance to French in the Siege of Antep during the Franco-Turkish War. 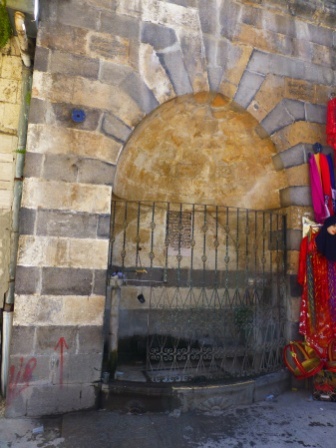 Gaziantep was officially adopted as the name of the city in 1928. All over the city are memorials honouring the men, women and children who fell defending the city. 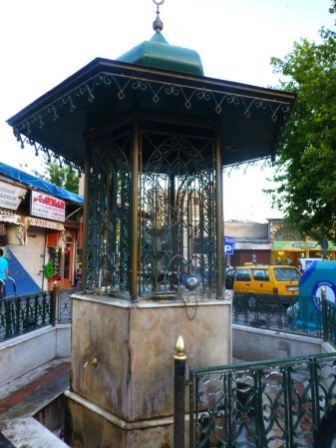 A common sight in Gaziantep is the water fountain. 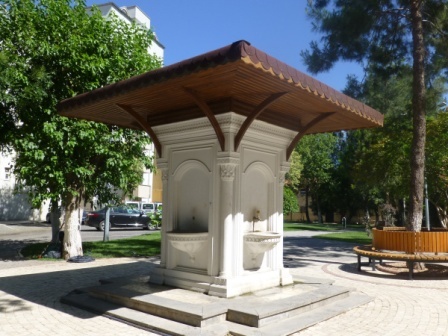 All over the city are public fountains, used for pre-prayer washing, topping up the drinking water bottle, hand washing, and just general freshening up. As the temperature soared, these were a welcome sight around town, as just that quick rinse is wonderfully reviving. Another frequent sight is mosques. There are loads in the city and I wondered if the city had a similar sort of set up as the City of London, which is divided into small wards, each of which has its own church.I have no idea if this is the case; I just wondered. 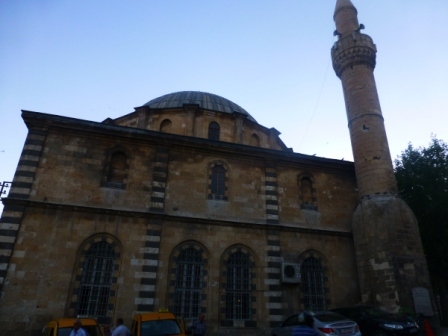 Many of these mosques are quite old, with some dating back to at least the 14th century. This wonderful black and not-quite-white stonework is often used for mosques and other buildings, and it reminded me of buildings in Aleppo. 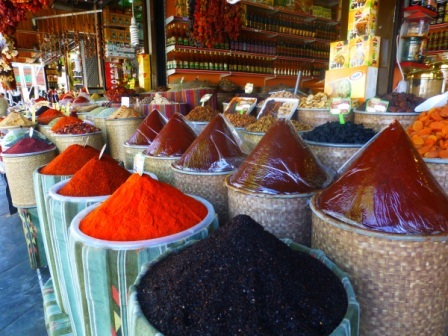 A reminder of the influence of the arab world on this region of Turkey. 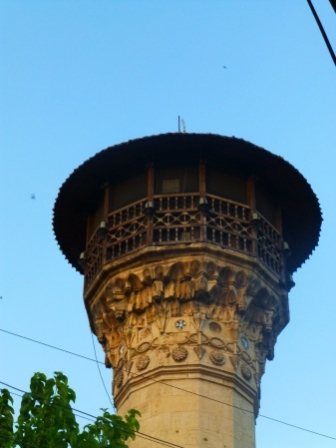 Many of the mosques have beautiful ornate minarets, often with a concentration of the decoration around the balcony at the top. 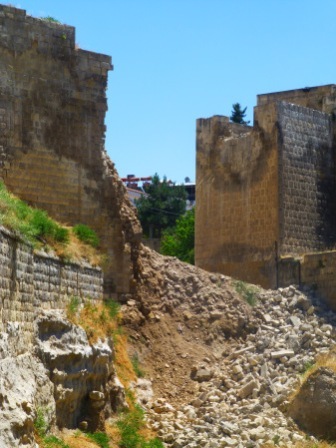 It’s not uncommon to see older buildings which have fallen into disrepair undergoing restoration. I understand that over the past few years the local authority has been carrying out a lot of restoration and regeneration, bringing these lovely buildings back to life. 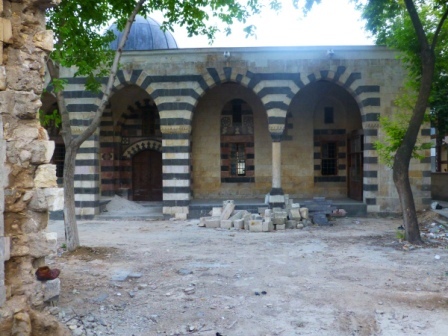 One building, which looked like it may been a caravanserai, was being almost entirely rebuild, as there only seemed to be a few small sections of wall and a couple of stone arches still standing from the original building. 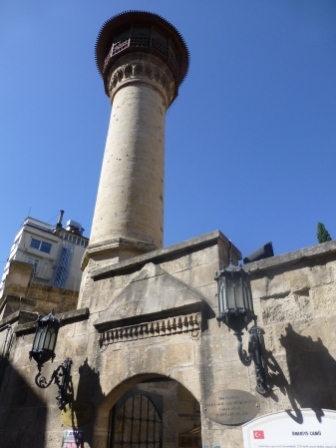 People of other faiths also have a long history in Gaziantep. 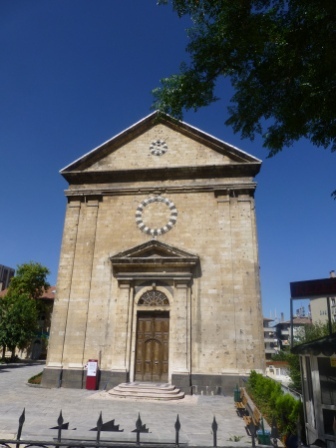 One of the most prominent pieces of evidence for this is the wonderfully austere Kendirli Church, a Catholic Armenian church built by French missionaries in 1860. 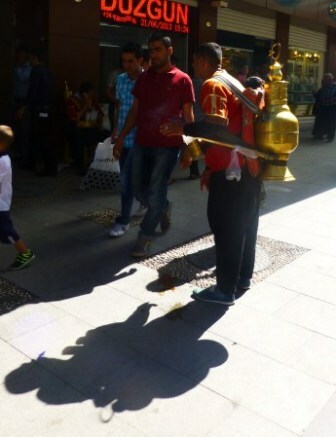 Another reminder of Syria came in the form of the many sellers-of-snacks who appeared in the streets at different times of day. 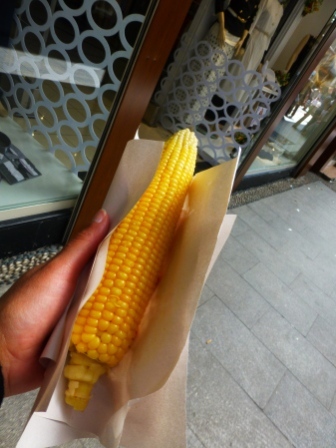 About 3pm the sweetcorn sellers showed up with a yummy snack for me 😀 . 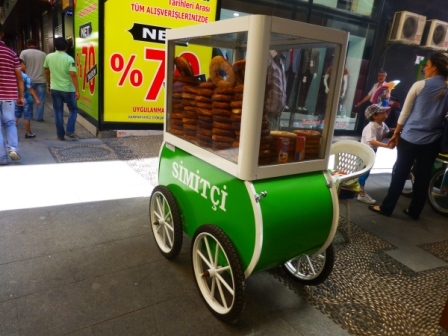 nom nom, then the simit sellers come out to play/ply. 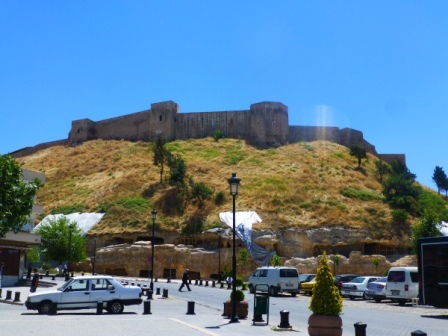 Gaziantep has a whole range of interesting features for the visitor to see, including a castle. Although it is not known when the first castle was built, excavations have concluded that there has been some form of settlement on the citadel mound since at least the bronze age. The existing castle (Kale) was enlarged and restored during the sixth century CE under the Byzantine Emperor Justinian I. From the surrounding streets it cuts an imposing figure. This entry was posted in Archaeology, Turkey. Bookmark the permalink.